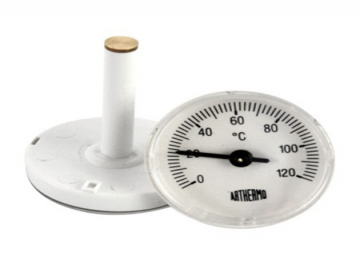 ARTHERMO was established in 1968 and within a few years, our company became one of the most important manufacturers of thermometers in Italy. Our high quality products were readily welcomed by overseas markets who were beginning to appreciate the excellence of Italian design. 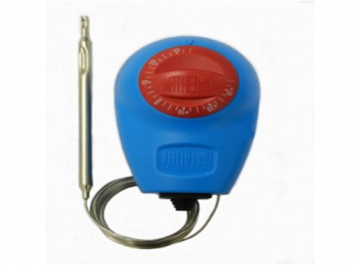 ARTHERMO currently produces many different ranges, and offers a wide catalogue of mechanical and electronic products, analogic and digital instruments, to cover all market needs. Thanks to our wealth of experience, commercial flexibility and know-how, ARTHERMO is able to tailor products to our customers specific requirements and needs. 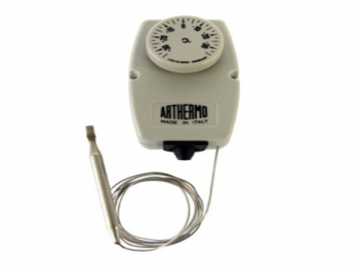 Boxed thermostat different temperature ranges capillary mm 1500, particularly suitable for remote temperature control in cold rooms and in refrigeration sector in general.Easy wall installation with only two screw dowels, included in the box. 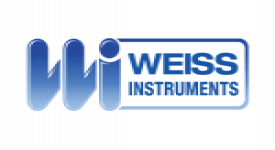 Encased adjustable thermostat, single pole, liquid filled sensing bulb and bellows operating, SPDT contacts. 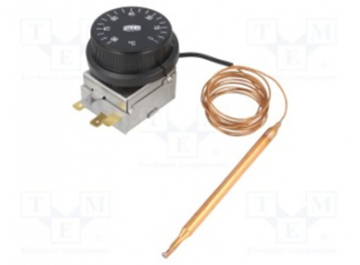 This thermostat is suitable for automatic adjustment of aplliances in cooling field. 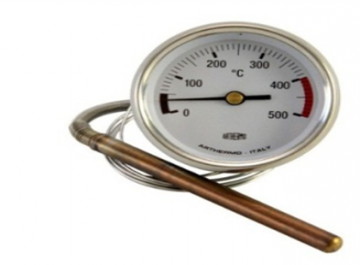 Single-pole thermostat, SPDT, mm 1500 inox steel capillary ,different temperature ranges. 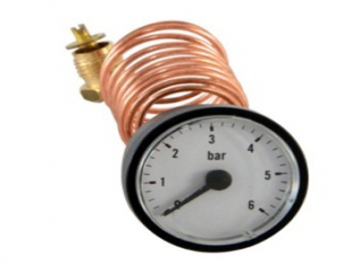 Suitable for automatic adjustment of refrigeration system. 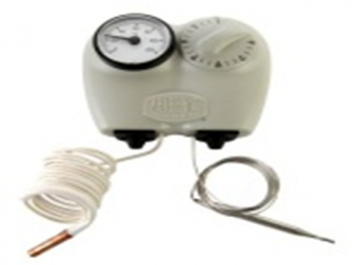 Immersion adjustable thermostat with different temperature ranges with control thermometer 0/120°C, liquid filled opearating. SPDT contacts with waterproof protection pocket 1/2 x 100 mm. 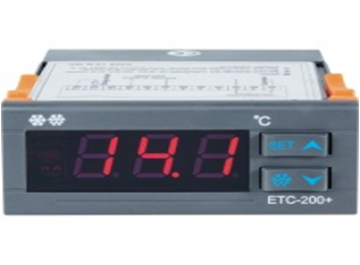 Digital thermometer -50+150°C NTC probe mm 2500, power supply 230 VAC, degree protection IP65, particulary suitable in refrigeration and heating fileds. 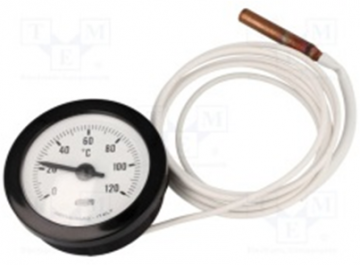 Round manometer with plastic case Ø 37, 0/4 or 0/6 BAR, Pvc copper capillary. quick coupling 1/4" , self locking clips. Optional : Different colour case Different lenght of capillary Valve 1/2" x 1/4" Dial with customer logo for order > 1000 pcs.